At London 2012, Nicola Adams made history. The flyweight boxer - nicknamed the smiling assassin - became the first ever woman to win an Olympic Gold medal for boxing. In Rio 2016, with the nation cheering her on, she did it all over again.Growing up in Leeds, Nicola stumbled into boxing in her local sports centre while her mum was at aerobics. Age 13 she decided that she would win an Olympic Gold: nobody was going to stop her. 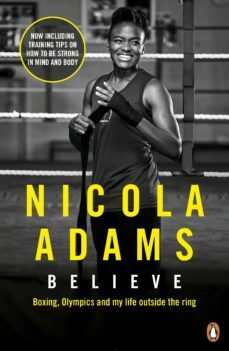 Years of relentless training, fundraising and determination have seen Nicola battle through injury, prejudice and defeat to become one of Britain best-loved athletes and an inspiration to all those who are chasing after a seemingly impossible dream.